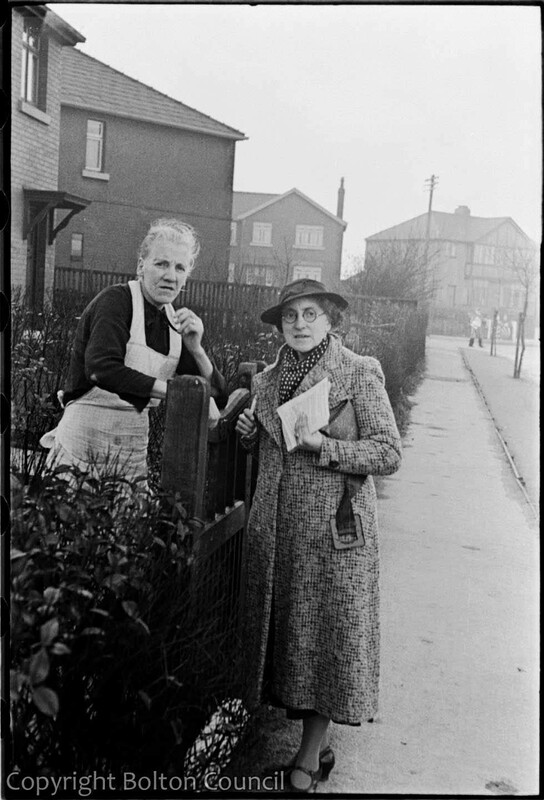 Mrs Tomlinson (right), wife of Labour candidate George Tomlinson with a potential voter on the Flower Estate during the 1938 Farnworth by-election. That’s the end of Pansy road looking out across Bradford Road towards Briarfield Road. Thank you Dan. I’ve updated the location for the Lavender Road photo too.